Every movement needs a voice, and ever since Gutenberg systematized the concept of movable type radicals have put ink to paper to create multiples of inflammatory documents. Come and learn more about the discontents, troublemakers, poets, organizers, and visionaries who set up shop in the S.F. Bay Area from the 1960s to present. 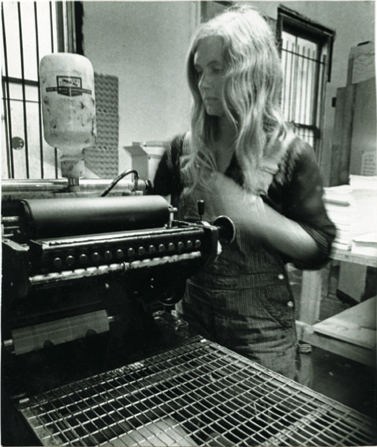 Presented by the Marjorie G. and Carl W. Stern Book Arts & Special Collections Center of the San Francisco Public Library and the American Printing History Association’s NorCal Chapter. Thursday, April 3, 2014 6:00-8:00 PM; all programs free. For a directory of these hotbeds of democratic dissent click here. Categories: Uncategorized | Tags: activism, democracy, printing | Permalink. Richard Walker, emeritus Professor of Geography at University of California Berkeley, will discuss his new book, The Atlas of California: Mapping the Challenge of a New Era (co-authored by Suresh Lodha and published by UC Press) on Tuesday, March 18 from 7 to 9 p.m. Far from a traditional atlas, the book presents California’s present and future social, economic, and environmental conditions and choices through maps, charts, and interpretive essays. The dinner seminar, sponsored by the UC Berkeley Center for Labor Research and Education and the Townsend Humanities and California Studies Centers, meets at the Labor Center Building, 2521 Channing Way (just east of Telegraph Ave.). Free admission and dinner. 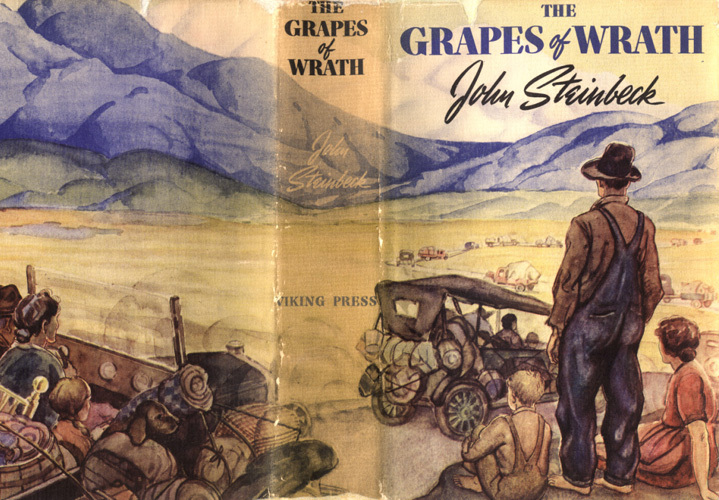 2014 marks the 75th anniversary of the publication of John Steinbeck’s stunning protest novel, The Grapes of Wrath. Join the Steinbeck Center and three artists for an evening of stories and thoughts on the themes of environmental disaster, the dispossessed, and dissent. Join us for a special preview of the 2014 Steinbeck Festival! This year the National Steinbeck Center celebrates the 75th anniversary of The Grapes of Wrath by convening a national dialogue, seeking out the stories of individuals struggling against many of the same challenges so poignantly represented in this classic work: financial insecurity, widespread unemployment and foreclosures, drought and other environmental crises. To gather contemporary stories of resilience and migrations in hard times, curators from the National Steinbeck Center commissioned a talented group of artists to retrace the Joad family’s journey. Come hear from this diverse group of artists—along with curators from the National Steinbeck Center, as they discuss the continuing relevance of The Grapes of Wrath for a globalizing world as well as what they learned along the trek from Oklahoma to Texas, New Mexico, Arizona, and finally California. You may also get a sneak peek of artworks resulting from this project! Don’t miss out: this is the only Bay Area preview before the Festival heads east to the Smithsonian Institute in Washington, D.C. This Steinbeck Festival preview is presented by the Asia Pacific Peace Studies Institute and the Peace & Justice Club at Holy Names University. Special thanks to our promotional co-sponsors: HNU Integrative Studies Across Cultures (ISAC) program and Intercultural Peace & Justice Studies program; Mills College English program; St. Mary’s College History program and International Area Studies program. Down the spine of California’s Sierra Nevada mountains south of Yosemite, huge granite peaks stand shoulder to shoulder more than 13,000 feet high, with no passage through them. Only hikers can cross the rugged range for more than 200 miles. 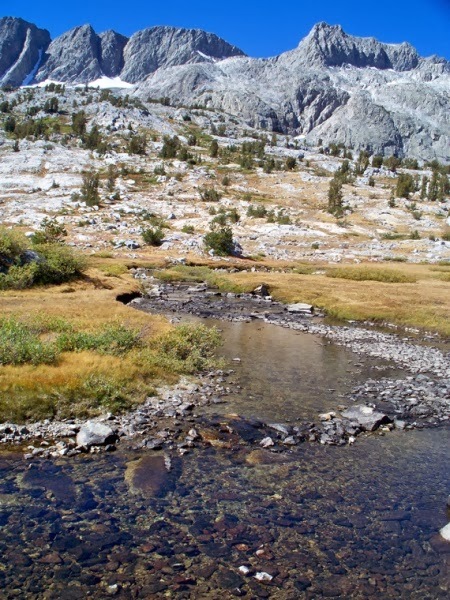 These tall mountains – the Southern Sierras – extending from the San Joaquin River watershed east of Fresno to the southern edge of Sequoia National Forest, epitomize California’s erratic water supply. In wet years, so much water pours down the mountains that its volume would scare the daylights out of any creature without wings. In drought years, meager streams cannot fill the reservoirs. “This year, no one has water” said Mario Santoyo, assistant general manager of Friant Water Authority near Fresno, a unit of the Federal Central Valley Project that provides irrigation for 15,000 farmers in eastern San Joaquin Valley. “The public has no idea how bad this is going to be….there will be nothing,” said Santoyo glumly. Friant Dam distributes water to more than a million acres of fertile fields that lie mostly east of highway 99, from Madera to Kern County. The area produces more crops per volume than any other in the nation. Behind the dam, Millerton reservoir was dangerously low as of Feb. 7, and Friant’s managers were scouring the state to find more water. We were on a boat on Millerton, touring the site of a proposed new dam, Temperance Flat, that could rise at the back end of the lake, more than doubling storage in the reservoir. (Because of its position in low hills, Friant Dam cannot be raised). Temperance Flat is one of the most controversial storage projects in California. Farmers want it; environmentalists oppose it; Federal officials have left it on the shelf for years. But this year, in the wake of California’s epic drought year, the project is alive and well. Like nothing else, these months with no precipitation have driven home the awareness that California does not have enough water in storage to get through really bad dry periods. Celebrate with Boom in San Francisco on March 14! Boom will be in San Francisco on March 14. Come celebrate with us and our hosts Shaping San Francisco! And let us know what’s on your mind. On Friday, March 14, from 7 to 9 p.m., editor Jon Christensen and the Boom crew will be gathering with friends and readers in northern California for a lively party and discussion about the future with a cadre of our imaginative, insightful authors. Click here for details and a link to RSVP for this evening event at the Eric Quezada Center for Culture and Politics at 518 Valencia Street in San Francisco’s Mission District. Categories: Uncategorized | Tags: Boom, Eric Quezada Center, San Francisco | Permalink. 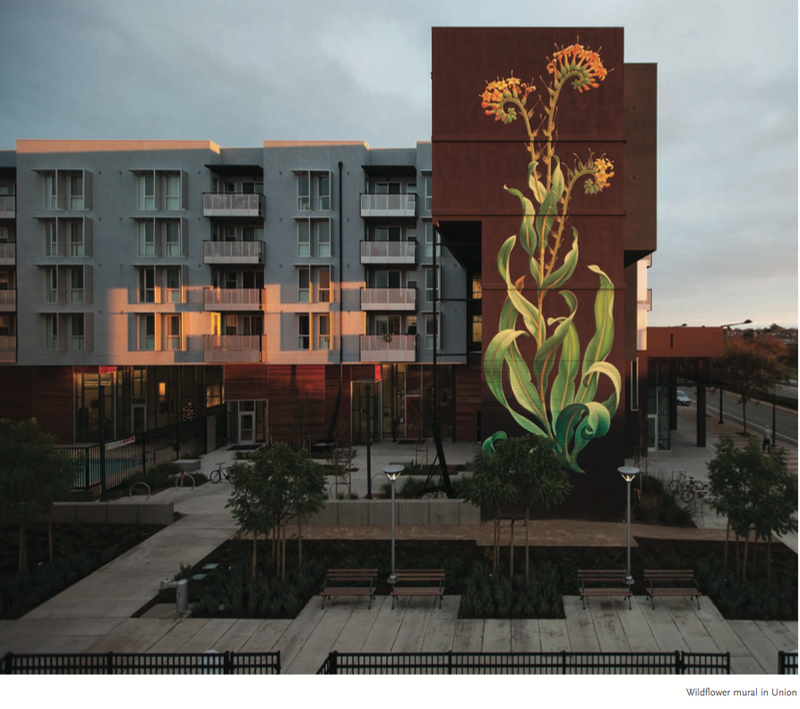 CSA steering committee member Miriam Greenberg has a great piece out in the latest issue of Boom: A Journal of California that takes on questions of sustainability, proposing a new field of inquiry that she dubs “Critical Sustainability” studies. 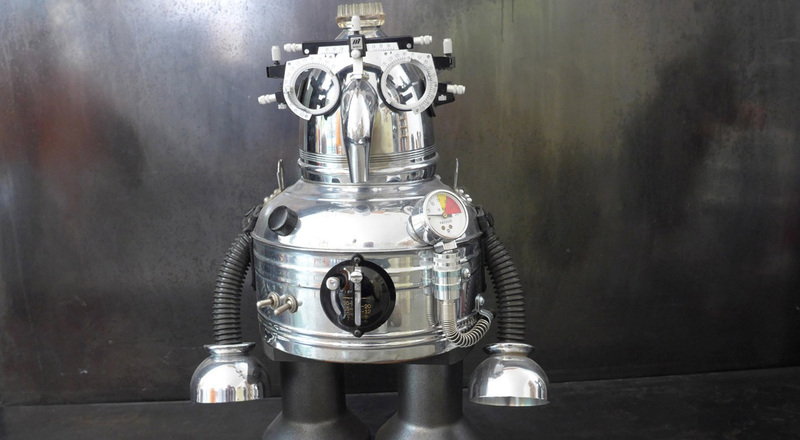 The project is part of an ongoing effort Greenberg began, which has included a year-long workshop with University of California faculty and graduate students, and which is soon emergent on a new web platform that takes on the challenge of creating a critical-sustainabilities dialogue. Greenberg, professor of sociology at UC Santa Cruz, writes: “Sustainability is a futuristic, even utopian, project par excellence. As with all utopian projects, sustainability offers a vision of the future to galvanize us to imagine our world otherwise and engage in the work necessary to change it. Sustainability asks us to define those things of greatest value in our present that ought to be sustained in order to achieve this utopian vision of the future. Simultaneously, it forces us to consider those things that are not of value, and should not be sustained. Sustainability is thus a striking example of the power and limits of utopian ideals. How the water-intensive crop is helping drive the governor’s $25 billion plan to ship water to the desert. Dan Errotabere’s family has been farming the dry soils of the western San Joaquin Valley for nearly a century. His grandfather primarily grew wheat and other grains. His father grew vegetables and other annual crops almost exclusively. But in 1999, Errotabere decided to plant his first almond tree. 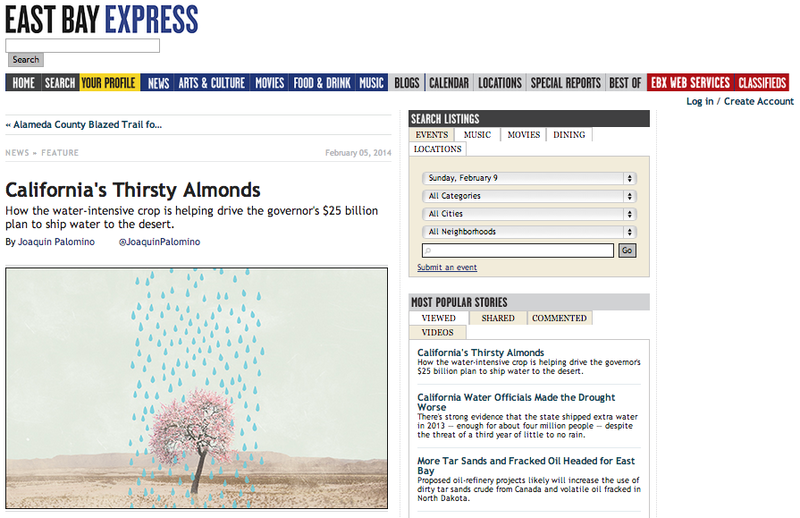 Today, almonds account for more than a quarter of his 3,600-acre farm. “Out here it’s nothing but topsoil,” he told me during a tour of his property late last year. He added that his land is especially good for growing nuts. Errotabere’s farm resides within the Westlands Water District, a barren landscape southwest of Fresno that gets very little rain — even in non-drought years. The average annual precipitation in the district is just eight inches, and the region suffers from poor drainage, high levels of toxic minerals in the soil, and salt-laden groundwater. “It’s really an area that should have never been farmed,” said Richard Walker, a retired UC Berkeley geography professor and an expert on agricultural economics. But ever since freshwater began flowing to the dusty west side of the valley, the landscape has been in constant flux. …” Read the whole article here….